The villas at Resort Arcen are spacious and available either fully detached or link-detached. They come in six different variants and can accommodate from 4 to 20 people. There are standard variants (4-person, NL-5944-24, a 6-person, NL-5944-25, an 8-person, NL-5944-26, 10-person, NL-5944-27 and 12-person, NL-5944-28). Then there are the extra-comfort variants, which come with additional amenities such as a flat screen TV, combination microwave and an extra TV in at least one of the bedrooms (4-person, NL-5944-29, 6-person, NL-5944-30, 8-person, NL-5944-31 and a 12-person, NL-5944-33). The deluxe variants boast a trendy interior and a sun shower (4-person, NL-5944-35 and a 6-person, NL-5944-36, and 10-person, NL-5944-37). The wellness variant (4-person, NL-5499-38, with a free golf cart for use during your whole stay) has a bathroom with a hot tub, an infrared sauna, a relaxation room, and a jacuzzi in the garden. Then there are the extra-comfort family villas (10-person, NL-5944-32 and 20-person, NL-5944-34), which have a gas fireplace and a deluxe open-plan kitchen. Plus, all bedrooms have a flat screen TV as well as their own ensuite bathroom with a shower and toilet. Finally, there is the ultra-deluxe detached wellness swimming pool villa (8-person, NL-5944-39). This villa is the jewel in the crown of Resort Arcen and will be available starting in July 2013. The below-ground level contains a private covered swimming pool with jet stream, a combination sauna, sun showers and access to the garden with its sheltered seating nook and jacuzzi. All the bedrooms in this variant have a flat screen TV and their own ensuite bathroom. 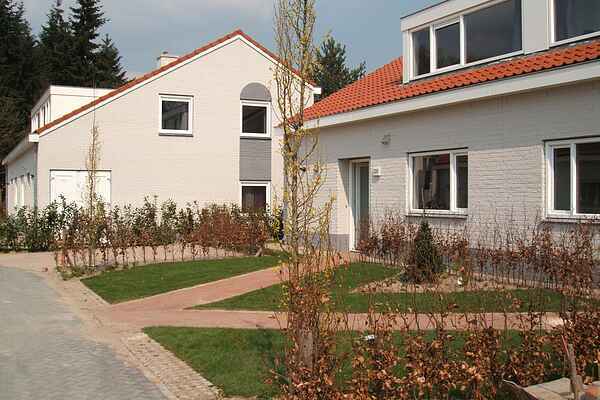 All variants offer a spacious garden complete with a terrace and garden furniture.